How about free food on your birthday? Well, fortunately, there are tons of eateries, ranging from fast food places to sit down restaurants that offer food related birthday stuff. And, in this post, we’ve listed them. 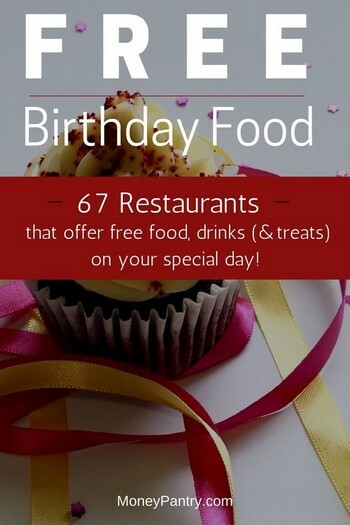 So, take a look, and see if your favorite restaurants and other eateries offer free food on your birthday. Before we get into the list, there are a couple of things to be aware of. Firstly, restaurants change the promotions they run frequently. So, just because a restaurant offered a birthday deal at the time of writing, it doesn’t mean that it will when you come to eat there. 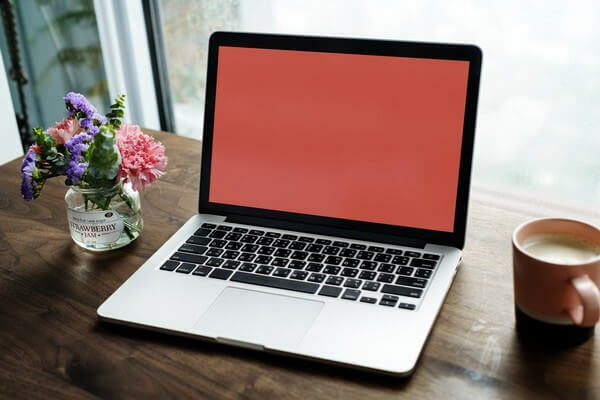 That said, even if these promotions are no longer available by the time you get to them, the same places will usually have other related promotions, so be sure top ask. And, secondly, some offers might only be available at certain locations. That’s why it can be a good idea to call ahead to ask the restaurant in your area whether they still offer a free food on birthdays, or simply ask before you order. Also, if you do eat out often, be sure to sign up for free rewards programs offered by restaurants. Not only you get birthday freebies, you can also get special discounts and deals, earn rewards and prizes and much more. If you’re looking for something quick to eat on your birthday, then you might want to check out the fast food places below. All of them offer free food on your birthday. Sub sandwich chain Blimpie offers birthday coupons to members of its eClub. Join Del Taco’s eClub, and get a free, regular size Premium Shake on your birthday. You can choose from Vanilla, Chocolate or Strawberry. Plus, members of the club can also get two free grilled chicken tacos. When you join Firehouse Rewards, which is Firehouse Subs’ loyalty program. You can receive a free medium sub reward. This is valid on your birthday or within the 6 following days. When you sign up to the Jason’s Deli mailing list, you can get a $5 coupon on your birthday, as well as other benefits, such as access to exclusive offers. Join the Jersey Mile’s Subs Email Club, and you’ll get a coupon for a free regular sub and a 22 ounce fountain drink on your birth date. Just make sure you confirm your Email Club subscription at least 24 hours before your birthday to ensure you receive the offer, otherwise you get the coupon the following year. Pizzeria chain Sbarro gives you a surprise on your birthday when you join the Slice Society. Also, you get a free XL NY slice with the purchase of a beverage, just for joining. Get a birthday surprise straight to your inbox from Taco Bueno. Just sign up for its Buenoheads email club. Sandwich shop Which Wich gives you a complimentary sandwich on your birthday. Plus, you get other benefits as a member, such as a free drink just for joining. Join the Weiner Lover’s club and get a free coupon each year on your birthday. You get a free chili dog for signing up as well. If you fancy a light lunch or a good breakfast on your birthday, then check out the places below. Sign up for Starbucks Rewards program (it’s free) and and get a free drink or food treat on your birthday. Your free birthday gift will automatically be added to your account 2 days before your B day. Then you will have until the days after your B day to redeem it. Get a free treat on your birthday when you join the Bruegger’s Bagels eClub. And, when you sign up, you get a free bagel and cream cheese. Bagel and coffee chain Einstein Bros Bagels has an email and rewards program called The Shmear Society. As a member, you get a free egg sandwich with purchase on your birthday. Plus, you also get access to other benefits, like a free bagel when you sign up, again, with purchase. This café will give you a free treat on your birthday when you sign up to its eClub. When you join the Shari’s Café Club, you get a free slice of pie on your birthday. Get your filling of pancakes on your birthday at IHOP. When you join the diner’s eClub, you get yourself a free birthday meal. And, you also get free food on other occasions, like on your anniversary of joining the eClub. Los Angeles diner, Café 50s has a loyalty program called the Frequent Dining Club. As a member, you get a free meal on your birthday. Plus, you get a $10.00 discount code mailed to you as a welcome bonus. But, that’s not all. You also get a 5% discount when you sign up and access to tons of other discounts, offers, and freebies. You can get a free Grand Slam breakfast on your birthday. Fancy a sweet treat on your birthday? Then, you might want to check out the establishments below. Sign up for the Dot Crazy Email Club and get free Dippin’ Dots on your birthday. You also get others bonuses, like special coupons and offers and updates on the latest promotions. When you join Friendly’s BFF Club you get $3 off ice cream cakes for your birthday. And, a few other benefits, like $1 off two Friendly’s ice cream cartons, and special deals and promotions. As a member of Krispy Kreme Rewards, you get a free gift on your birthday. You can also get points towards free donuts and beverages. Great American Cookies has a Cookie Club. When you join the Cookie Club, you get bonuses including birthday surprises and special offers. You even get $3 off your next purchase just for joining. Ice cream chain Marble Slab will give you a $5 off reward on your birthday, if you join its loyalty program, Slab Happy Rewards. Join the Rita’s Italian Ice Birthday Club, and you get a free birthday treat. Get a free smoothie on your birthday when you join the Planet Smoothie Club. When you join My Cold Stone Club Rewards, you get access to a number of benefits, including a buy one get one free coupon on your birthday. There are also other bonuses available, such as exclusive, member-only offers. When you join Dairy Queen’s Blizzard Fan Club, you get a coupon on your birthday. But, that’s not all, you also get a buy one get one free coupon just for signing up, plus plenty of other great offers. Sit down restaurants are a great place to go when it’s your birthday. Below, we’ve created a list of restaurants, ranging from Mexican to Italian to American, which offer free birthday meals, dishes and foods. So, if you’re looking for good restaurants for birthday dinners, then take a look. When you join the restaurant chain’s rewards program, Club Mongo, you get a free meal on your birthday. Plus other benefits, like $5 off your next meal for signing up and exclusive offers. Benihana sends you a $30 birthday certificate via email, during the month of your birthday. You just need to register for The Chef’s Table. BJ’s Restaurant and Brewhouse will give you a free Pizookie desert when you register for its Premier Rewards Plus program. Plus, you get other benefits for joining the program – for example, you earn one point for every $1 you spend. Once you have 100 points, you get a $10 reward. Essentially, you get 10% of what you spend back. Get a free birthday steak dinner at Black Angus Steakhouse when you join the restaurant’s Prime Club. And, you earn yourself a free desert when you sign up as well. Join the Bear Lovers E- Club, and Black Bear Diner will give you a free meal on your birthday. Plus, you get a free bear claw and a cup of coffee just for signing up! And, you get access to other benefits, like exclusive offers. When you sign up to Boston Market’s VIP Club, you get a free treat on your birthday. Plus, you also get $3 off your next purchase of $10 or more just for signing up. Join My Boston’s, which is Boston’s Gourmet Pizza Restaurant and Sports Bar’s rewards program, and get a free flatbread on your birthday. There are also plenty of other benefits that come along with the program, like $5 off orders of $25 or more each year when it’s your MyBoston’s anniversary, and, the ability to earn points on purchases. Get to 100 points, and the restaurant will give you a $15 voucher. Join Steak VIP Rewards, and you’ll get a free treat on your birthday at Ponderosa and Bonanza Steakhouse restaurants. Plus, you get a reward just for signing up and access to exclusive offers. When you join My Chili’s Rewards, which is the brand’s loyalty program, you get a free dessert on your birthday. Plus, you get other freebies, like free kids meals. When you join the Country Kitchen eClub, you’ll get access to a number of perks, including free food on your birthday. The restaurant chain sends you a coupon for a free meal on the week of your birthday. When you join the restaurant’s Pita Points Rewards Club, you earn one point for each dollar that you spend. And, when you get 100 points, you get a $5 reward. On our birthday you get an extra $5 in rewards credit added to your Pita Points account. Sign up for this restaurant chain’s loyalty program, called the Habenero Club, and you’ll get $10 for your birthday. But, that’s not all. You also get access to a number of other bonuses, such as $10 on your 9th visit and free cantina nachos just for joining. When you share your birthday with El Chico when you join the eClub, you get a complimentary dessert. Plus, you also receive special email offers as a member. Join the Famous Nation and Famous Dave’s will give you a gift for your birthday. Plus, you get access to special offers. Flat Top Grill is a restaurant that started in Chicago in 1995. Now, it has expanded into a 13 unit restaurant group. The restaurant has an eClub that gives you access to exclusive offers. And, you get a gift on your birthday. Khan’s Rewards is Genghis Grill’s loyalty program. As a member you get a birthday reward, and access to other benefits. For example, you’ll get 5 points for every $1 that you spend and once you reach 750 points, you get a $10 reward. Glory Days Grill is a sports restaurant and bar with many locations throughout Virginia, Maryland, West Virginia and Florida. Cincinnatti based restaurant Gold Star Chili is another eatery that offers free birthday meals. The restaurant, which specializes in Cincinnati chili has an eClub that gives members access to all sorts of benefits. One bonus of joining is that you get a gift on your birthday. Plus, you also get access to exclusive offers and free food just for joining. Gordon Biersch has a loyalty program called Passport Rewards. Members of the program get access to numerous benefits, including birthday e-gifts via email, and a $10 value welcome bonus. Restaurant and bar Houlihan’s is another place that offers free food on your birthday. When you join its email club, Houlihan’s will give you tons of great benefits, including a free entrée on your birthday. And, another great benefit of the club is that you get $10 off just for signing up. At Mexican restaurant Iguana Mia, you can get a free regular entrée on your birthday. You can choose any entrée item on the menu, up to an $18 value. And, you get a free fried ice cream as well. All you need to do to get this offer, is visit on your birthday, and bring proof of your birthdate, such as an official state photo I.D. or Birth Certificate and I.D. Mexican restaurant Moe’s Southwest Grill has a loyalty program. It’s called Rockin’ Rewards. As a member, you get a free burrito on your birthday. You just need to get the app. Sign up to Not Your Average Joe’s email club, and you’ll get a free birthday gift. Sign up for the restaurant’s O’ Club, and you’ll get a special birthday surprise. Plus, you get other bonuses, like discounts and special offers. Join P.F. Chang’s Rewards, and you’ll get a birthday reward. Earn points when you spend money at P.F. Chang’s and redeem these points for rewards. When you join My Perkin’s you get a special gift on your birthday. Being a member of this club also entitles you to other benefits, like a 20% off coupon just for joining. Restaurant chain Portillo’s is another place to find free food on your birthday. It gives you a free piece of chocolate cake on your birthday. Get a birthday coupon you can redeem for free food when you join Red Lobster’s loyalty program, My Red Lobster Rewards. You can also earn points for every dollar you spend and then redeem them for rewards – there are three different rewards to choose from. Get your filling of gourmet burgers on your birthday at Red Robin. Generously, Red Robin gives you a free burger on your birthday and you get to choose the one you want from 24 different options. All you need to do is join Red Robin Royalty, which is the restaurant’s loyalty program. 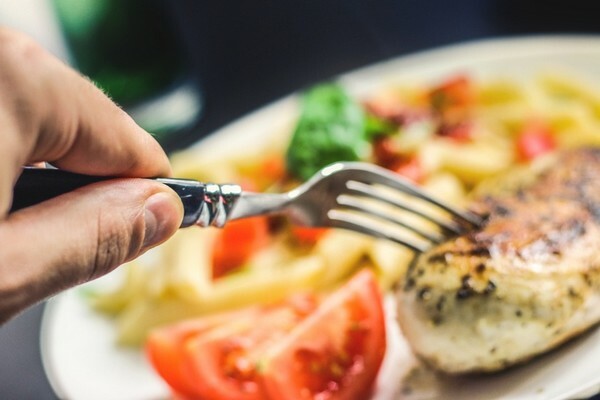 Sign up to Ruby Tuesday’s email club, So Connected, and get either a free burger or a free garden bar entrée on your birthday. You also get a free appetizer just for joining. Get a free dessert on your birthday when you sign up for the restaurant’s Bones Club. If you’re looking for a free birthday meal, then you might want to check out The Spaghetti Warehouse Restaurant. When you join its Warehouse eClub, you get numerous benefits, including a free meal on your big day. Join the Steak ‘n Shake eClub, and you’ll get free stuff on your birthday. Plus, you also get access to other benefits, like special offers and coupons. Become a Ted’s Insider, which is the restaurant’s eClub, and you get a complimentary birthday dessert. Scroll down to the bottom of the restaurant’s home to find the sign up form. At this restaurant, you can get a free birthday gift when you join the eClub. Plus, you also get $20 off the purchase of two regular dinners combined when you join. Fancy some free chicken wings on your birthday? Then you might want to visit Wingstop. The restaurant offers a free birthday gift if you sign up to its email program, The Club. And, you get a complimentary order of fries as well, just for signing up. You can get a free Nibbler at Zaxby’s when you join the Zax Email Club. At Smokey’s Mountain Grill, you can get any personal 8” pizza, and select up to five toppings, or a pasta entrée of your choice from the regular menu. Fancy pizza on your birthday? If so, visit Grimaldi’s Pizzeria. You can get a complimentary meal on your birthday there. Just sign up to its email list. Kansas based Italian restaurant Garozzo’s gives you a free Chicken Spiedini on your birthday. Restaurant and pub, 99 Restaurants provides you with a birthday gift. You just have to join its eClub. Mexican restaurant Abuelo’s will send you special offers on your birthday when you join its loyalty club Mi Abuelo’s Rewards. Aside from getting offers on your birthday, you earn a point for each dollar spent at the brand’s restaurants. You can use these points for free food, gift cards and other stuff. As you can see, there are so many places out there that offer free food on your birthday. Whether it’s ice cream or a slice of pizza you’re craving you’re sure to find a freebies on your big day. Check out our list when your birthday next comes around, and if you know of any great places to eat that offer complimentary birthday food, then share it with us in the comments below.